Thinking Of Selling Your Home in Maine By Yourself? "How does your home compare to others like it in the neighborhood or another nearby area?" "How did you determine the fair market value of this Maine property?" Almost all homes are sold using a real estate agent. As real estate professionals, it is our job to help you negotiate with all those buyers who want something for nothing. Not to mention preparing your home for sale, marketing it locally and even nationally, and guiding you through the complex paperwork and pitfalls of escrow and closing. Make sure you are really ready to handle all of that before pounding that sign into your front yard. Errors can be extremely costly. 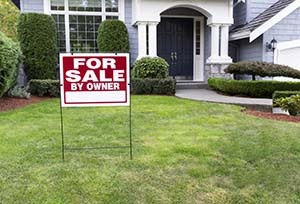 If you must sell your own home, at least let us give you a sense of its true market value. Tell us a bit about your home, and we'll do a quick CMA - Comparative Market Analysis, and let you know what we feel it is worth. We'll also describe, as experienced, local real estate agents, how we would market your property. This is free, with no strings attached. Contact us today!